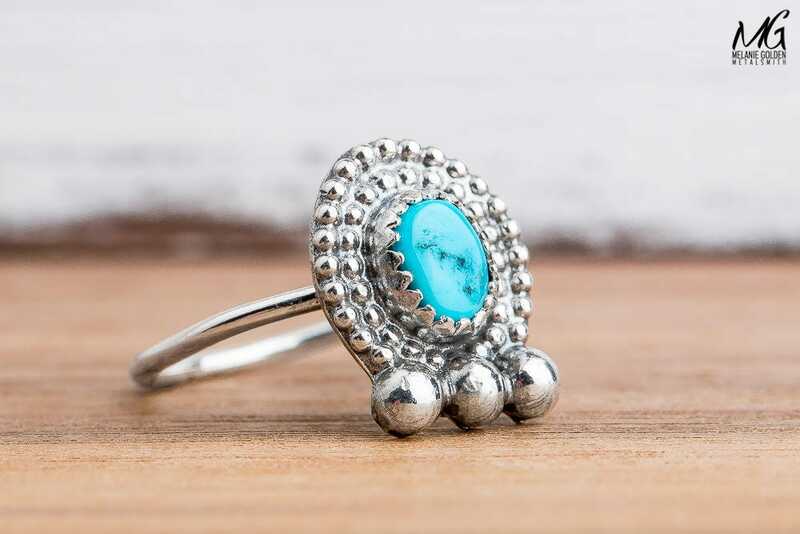 I handmade this beautiful natural Sleeping Beauty Turquoise gemstone ring from solid Sterling Silver. 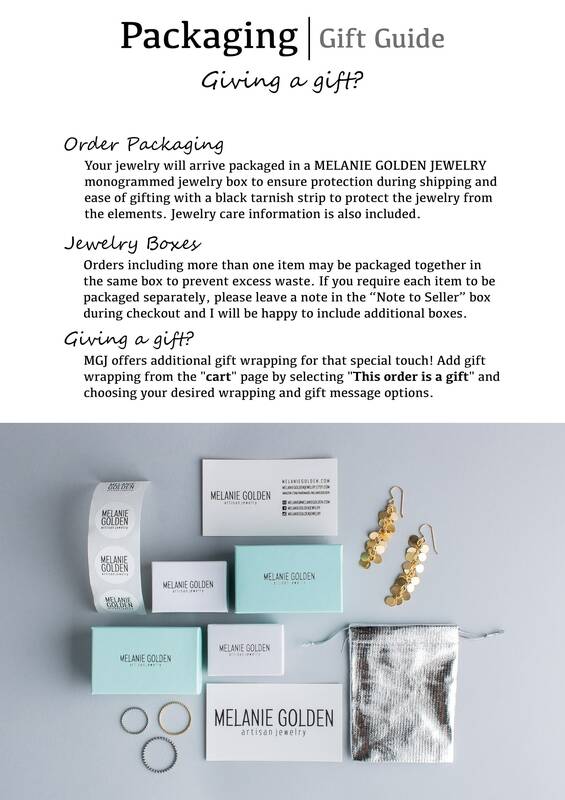 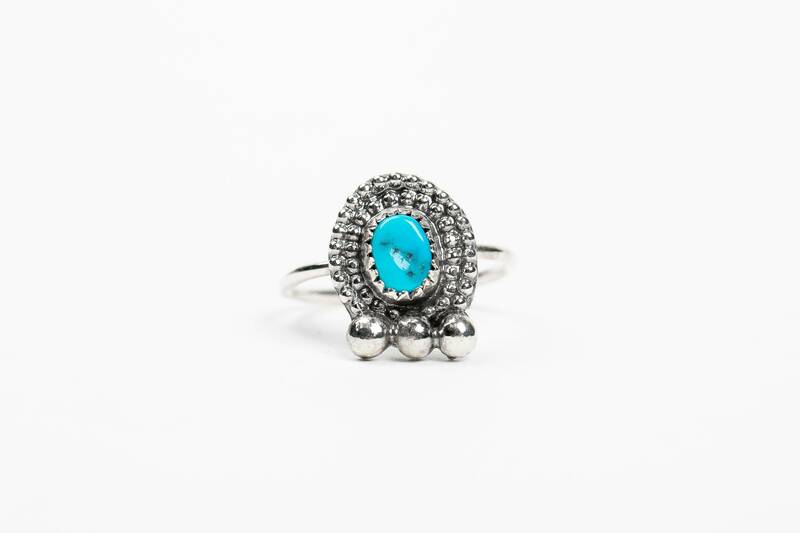 The gemstone has been surrounded by a double bead border and three recycled fine silver granules. 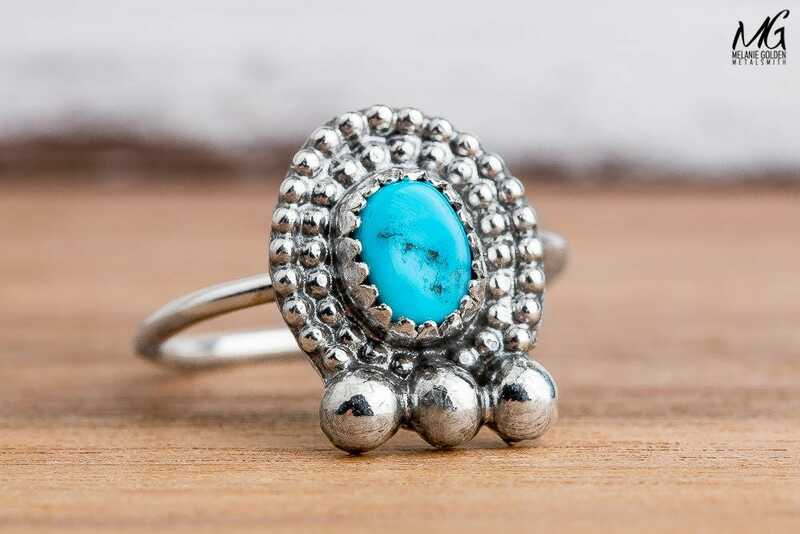 - Ring is size 5. 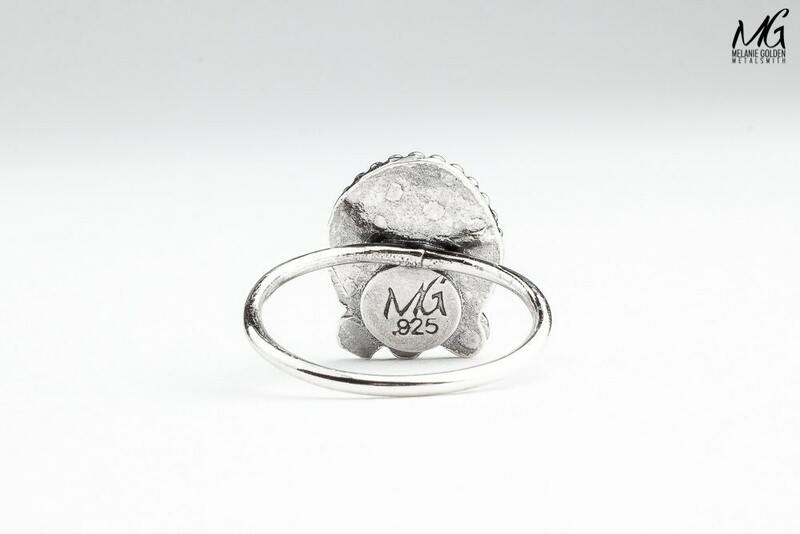 - Gemstone measures 5mm x 6mm. 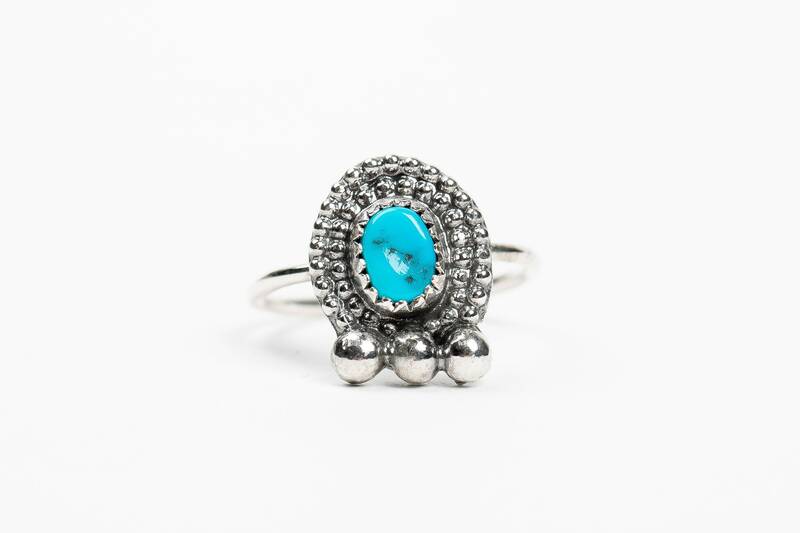 - Entire ring face measures 11mm x 15mm. 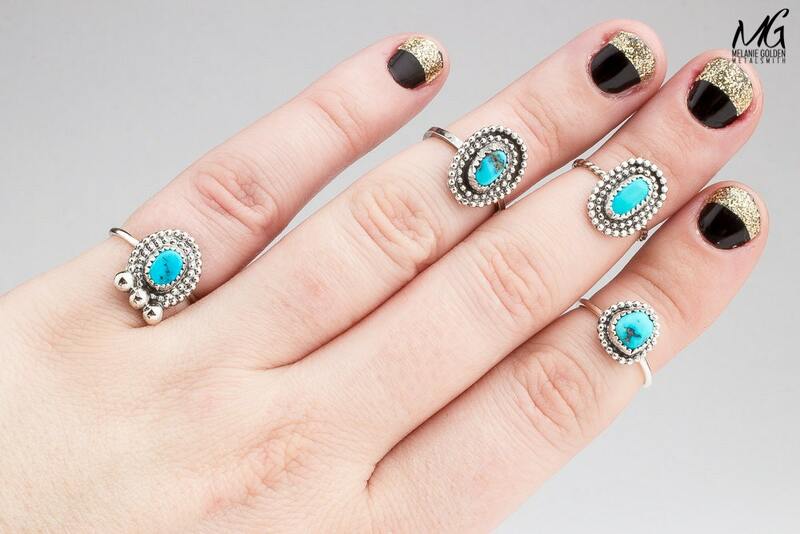 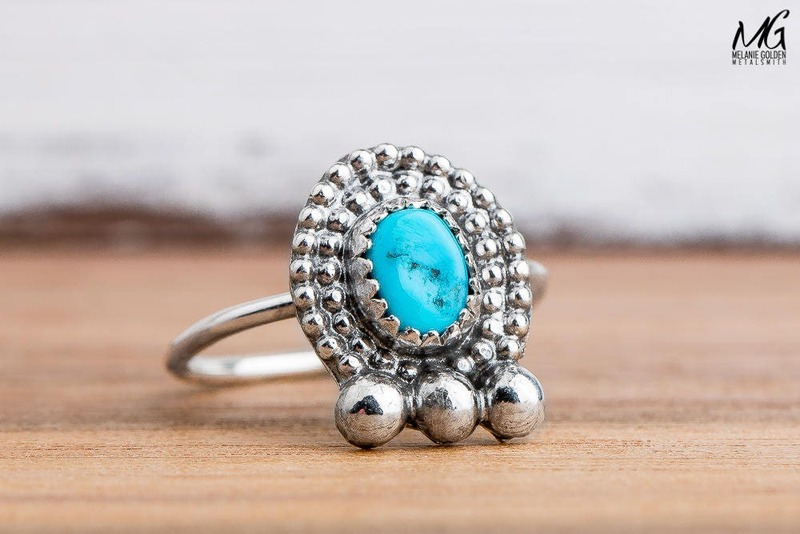 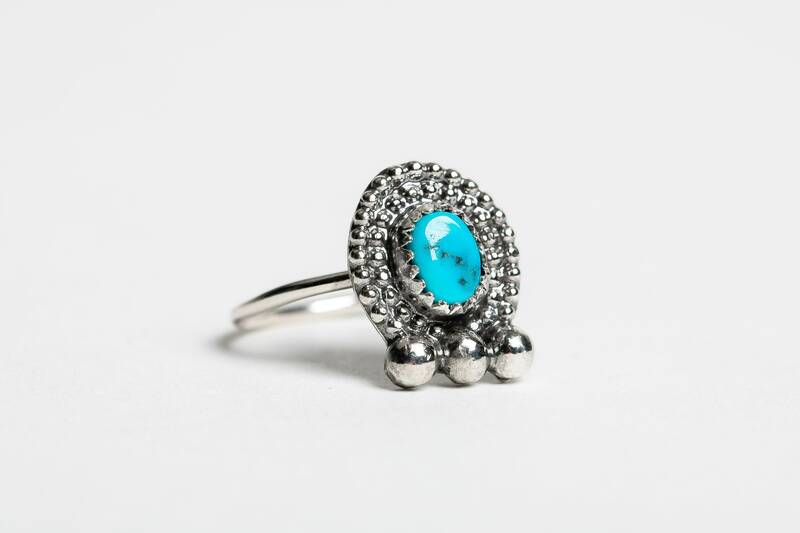 - Ring is entirely handmade from solid Sterling Silver and a natural Sleeping Beauty Turquoise gemstone.